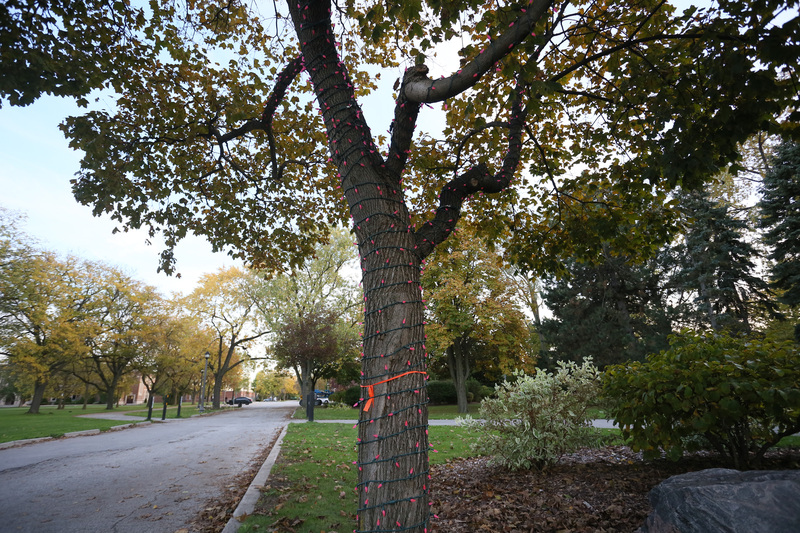 Preparations continue in Jackson Park for the first annual Bright Lights Windsor festival. In addition to the thousands of Christmas lights contractors have hung i trees across the park, the display will feature a giant illuminated tree in the Queen Elizabeth II Sunken Gardens, iconic holiday characters throughout the park, special light shows on Thursdays, Fridays and Saturdays and horse-drawn carriage rides and festive performances on Fridays and Saturdays. The opening lighting takes place on Friday, December 8th at 6:30pm. The park will then be lit nightly from 6:30pm to 10pm until January 7th.